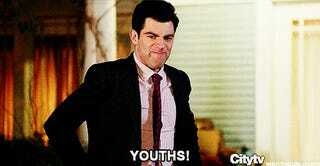 Filed to: Youths!Filed to: Youths! What the heck does “71537364" mean? I keep seeing it on comments sections of articles and I am clueless. Also apparently at 2 weeks from 30, I am officially an old.